Since we can’t have a conversation with our pets, we have to rely on our senses to figure out what they might be feeling or thinking. Having a good relationship with your veterinarian can make determining your pet’s behavior or ailments much easier. We talked with traveling vetDr. Laurelee Rubsch about the importance of having such a relationship. She also debunks some common myths. 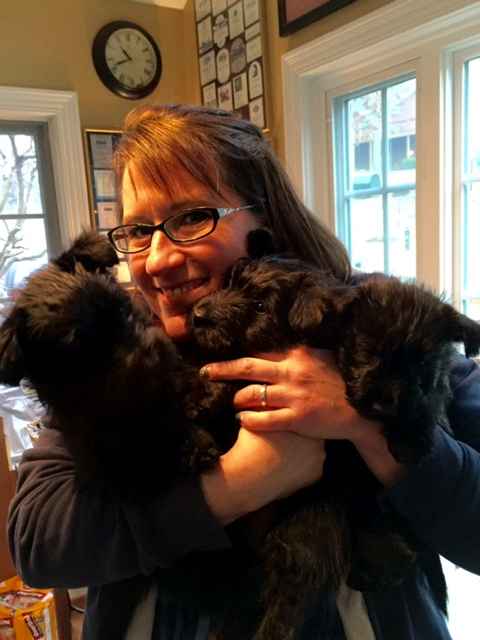 Dr. Laurelee, a Louisville native, has been practicing veterinary medicine for 18 years. In 2010, she started her mobile pet practice and makes house calls, which allows her to ease some of the stress that vet visits can cause for both pets and owners. When she’s at a pet patient’s home, Laurelee and her veterinary technician can perform basic medicine, including blood work, urinalysis, and treating mild illnesses. Laurelee also has a clinical facility and lab she can utilize for surgeries and emergency situations. In her spare time, Laurelee spends time with her daughter and her two cats, a dog (a puggle), three rescue rats, a guinea pig, and a special needs rescue squirrel named Lennie. Lennie is a non-releasable wildlife rescue Laurelee cares for, but she says that while squirrels might seem cute and cuddly, they make horrible pets. “Don’t try this at home — Lennie is one of a kind,” she says. Laurelee also helps out the Second Chances Wildlife Center, which works to conserve wildlife through environmental education programs and safe rehabilitation of orphaned, injured, or displaced wildlife. Laurelee has even seen a few of our Today’s Woman staff’s pets. And she’s helped us to debunk some common myths pet owners might hear about. Are dogs really color blind? Are all calico cats females? We got to the bottom of these questions and more. What you’ve heard: Dogs are color blind. What you’ve heard: All calico cats are females. What you’ve heard: If a dog’s nose is warm or dry, it means he is sick. What you’ve heard: Dogs eat grass to throw up. What you’ve heard: One year of a dog’s life is equal to seven years of a human’s life. Visit Today’s Woman – The Traveling Vet to read the original article.